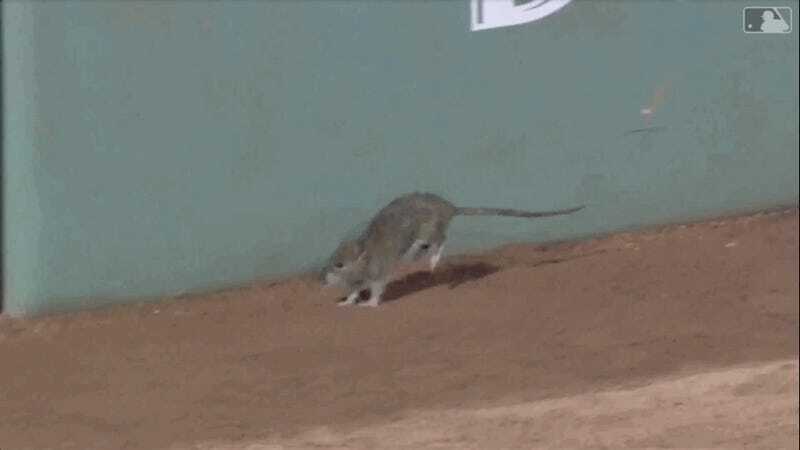 The Red Sox, healthy, secure, surging toward the best season in franchise history, played with the toy skeleton of a rat in their dugout Friday night, mounting it on the dugout wall and putting seeds in its little mouth. Ha ha! 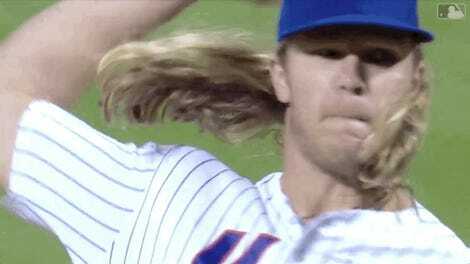 The Mets, helpless, sick, crawling along in ignominy toward the conclusion of another lost season, were chased from their dugout by an actual rat. This is somewhat more subtle than the stadium fire back in May, but you really feel that the universe could be a little less heavy-handed, here. We get it!